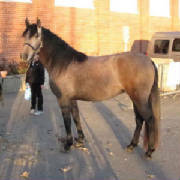 This elegant athletic gelding has correct conformation, beautiful movement , and sweet temperament. He is a tall leggy modern type and should mature 16.1 hands. Awarded premium at his inspection. Dressage foundation and 6 months professional training as a Jumper. Armani is a bold athletic gelding with that "Look at Me" attitude. 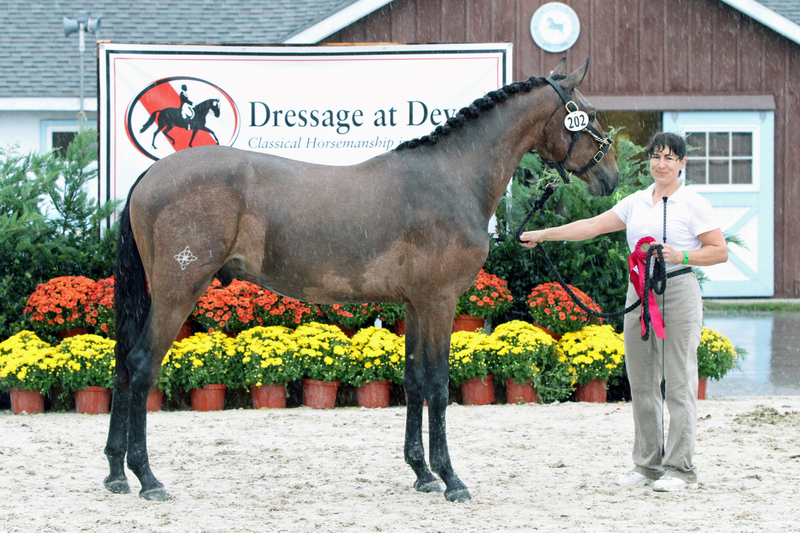 He is loaded with talent and with his correct conformation would make a wonderful dressage horse. He is a tall and elegant boy. As a 4 year old he is 16 hands and 1100 lbs and should mature 16.1 hands. 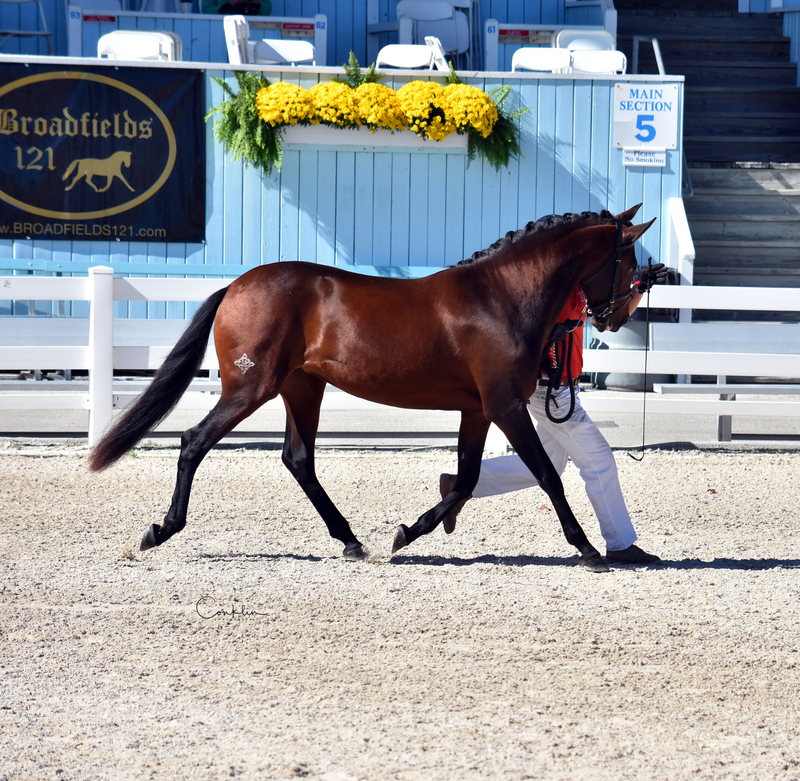 Received a 7.5 for gaits from an FEI judge at his first horse show at Training Level. Showed at the ERAHC breed show in July and was Champion Half-Andalusian Gelding, received the Gold Medal Best Movement Award, and consitantly received 7.5 for his gaits. Arabella absolutely loves attention. "Sugar and Spice and Everything Nice" about sums her up although I think she might be a Tomboy at heart:) With her correct conformation and beautiful gaits she could be your next dressage mount. 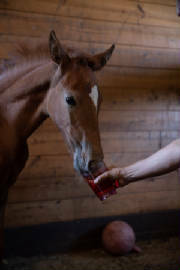 Was shown as a suckling, weanling, yearling, and 2 yr old. 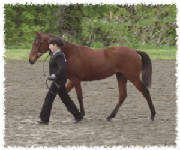 Attended Dressage at Devon 2010 and Equine Affaire MA 2010 and 2011 representing the breed. Lightly under saddle. This is a very conformationally correct and athletic gelding. The dam is a very lovely mare who is a pleasure to work around and she passes these qualities on to all her foals. The sire is an imported Lusitano stallion chosen by international Grand Prix Dressage trainers for his potential for the FEI levels. Currently in professional Dressage training with an FEI trainer. Ferrante is a very handsome boy with a lot of bone and correct conformation. Very dark bay...almost black. We believe he will mature to at least 16.1+ hands and will make someone a very nice mount. This is a proven broodmare. She is the dam of Noche Paloma (16.3H black champion mare) and the maternal granddam of Belmonte II TCV (16.2H black champion stallion). 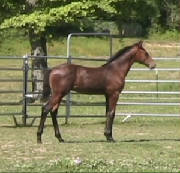 This mare is for sale by private treaty as a broodmare and/or trail horse. This bold outgoing bay colt has his sire's strong topline and agility. He already shows elastic, elevated gaits. His sire is an imported Lusitano stallion and his dam is an accomplished Thoroughbred race horse. He was born April 2, 2007 and should mature 16.3 hands. 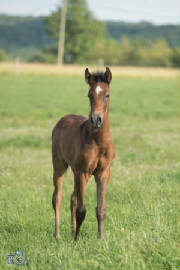 This filly is a lovely mover with three nice gaits and a fantastic temperament. 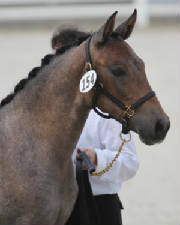 She has been shown in halter and has been winning her classes on the line as a yearling. She could do very well in nearly any discipline and would make a fantastic brood mare for any Sport Horse breeding program. She is a special individual with a great personality and one not to overlook!